No one will put this doll in the corner! 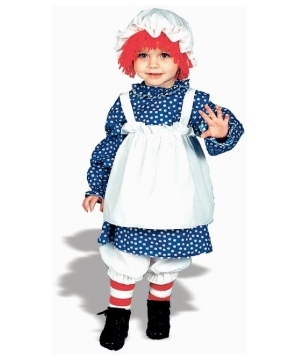 Your daughter will absolutely love being the Dainty Victorian Doll this Halloween. She will enamor all her friends with this delightful and fetching dress. To achieve her flawless look, be sure to add this Dainty Victorian Doll Girl-s Dress Costume to your cart. 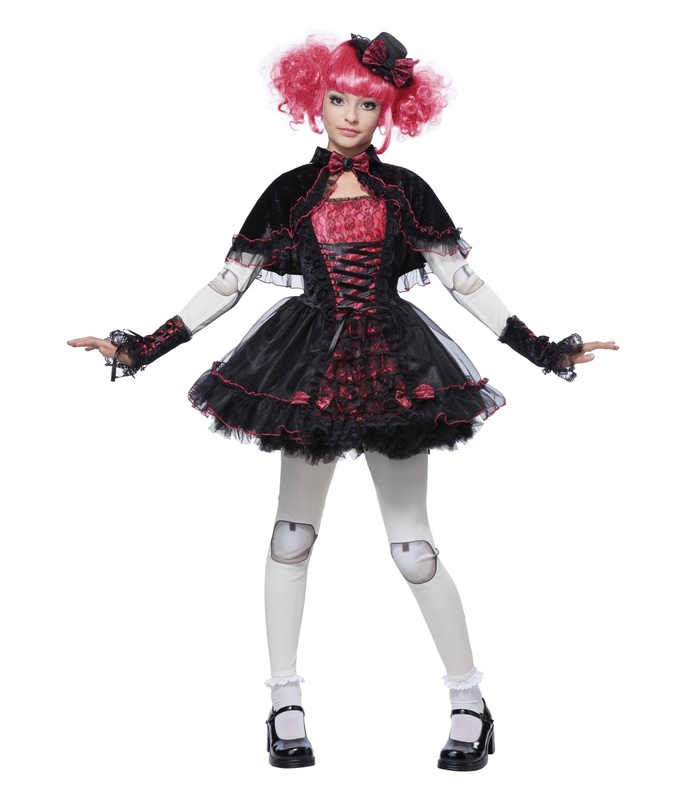 This costume comes with a black lace short dress that has a pink accent bodice and a black billowy tulle skirt with pink bows and pink piping detail. It is complemented with the black capelette, and lace black glovelettes that mimic the corset look of the dress. It also includes a matching black small hat that looks like a fascinator with a pink bow and the white leggings. The costume comes in sizes Small(6-8),Medium(8-10),Large(10-12) and X-Large(12-14). To complement her already cute dress, be sure to add a pink wig, a pair of black low heels, and some white socks as these are not included with this outfit. Review(s) for " Victorian Doll Girls Costume"